Hydro jetting is the most effective method known to restore old drain lines to a like-new condition. A line choked with years of accumulation of grease, soap and sludge can be restored to near original condition without damage to the pipe. Removes grease, sludge, mud, silt, fibrous material, etc. Avoids damage from backed-up lines. Hydro jetting restores old drain lines to a like-new condition by using water moving through tiny openings located in nozzles, removing grease and sludge from the line. The combination of the high pressure and water volume provides a cleaning system unattainable by conventional methods. For lines with a history of problems, the hydro jetting can be used to inject specific amounts of our exclusive Discount Plumbing San Francisco de-greaser which actually enhances the cleaning power of the hydro jetter. After the initial cleaning, your Discount Plumbing Rooter Inc technician will recommend a periodic maintenance program to help insure an uninterrupted flow. 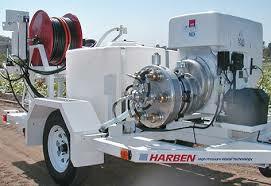 Spartan Jetters, to Commercial Harben Trailer Jetters! We have whatever it takes to get the job done! Cable machines are used to remove tree roots and break through solid obstructions. However, they are less effective in removing softer blockages such as grease, scale and other buildup. Cable machines will bore holes through sludge but they can’t clean and push the debris out of pipes as effectively as a water jet machine. 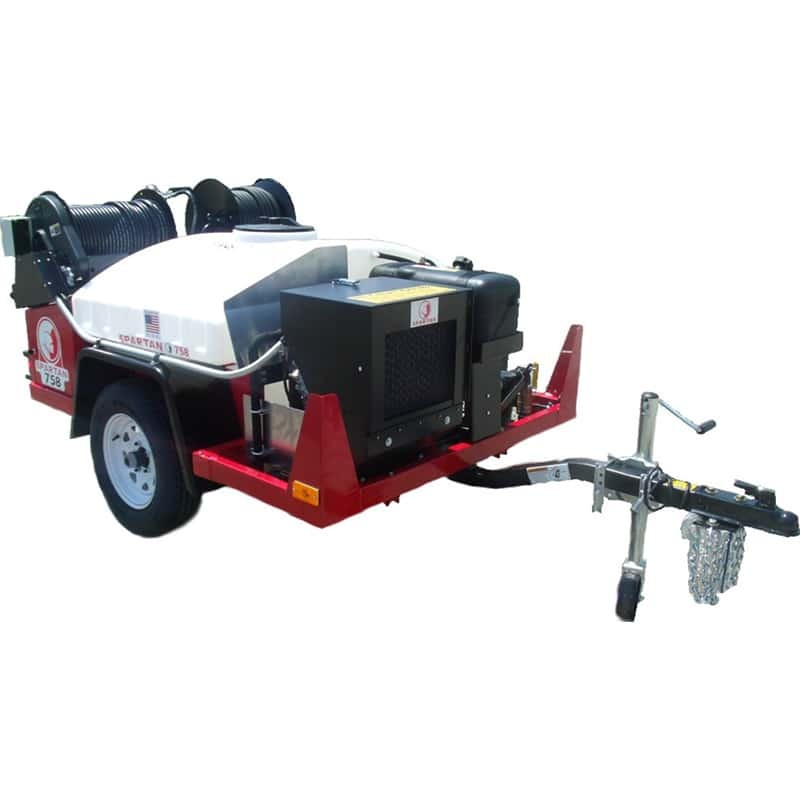 High-pressure water jetting is an efficient, economical, and environmentally safe way to clean drain and sewer pipes. Using state-of-the-art pumps and flexible hoses, ordinary water is propelled under varying amounts of pressure into the sewer line. A special nozzle mounted on the end of a heavy-duty hose has an array of forward and reverse water jets, which direct extremely powerful concentrated streams of water all the way to the pipe walls. Even the toughest blockages and buildup can’t stand up to water jet machine cutting, which thoroughly cleans pipes. Some businesses may require just one or two cleanings annually, while others benefit from monthly or quarterly cleanings. That’s why many of our customers prefer to set up a scheduled program for water jetting service that keeps their drains flowing freely. A discount plumbing pofessional can recommend a jetting service schedule that best meets the needs of your business. We specialize in, water heater repair and replacement, drain cleaning, bathtub repair, toilet repair, shower repair, sink repair, pump repair.